Our java script navigation menu is not appearing in your browser. You can turn on java script in your browser (recommended!) or click here to go to our site map. If you are using Windows XP with service pack 2 upgrade and the Information Bar is blocking the java script, you can click on the bar and then on "Allow Blocked Content" to see the menu. DOUG CARE EQUIPMENT CELEBRATES 20 YEARS IN BUSINESS! Time sure flies when you're having fun and we've had a lot of fun over the last 20 years. We would like to thank all our loyal customers that have made these 20 years enjoyable. For more information about us here at Doug Care Equipment, take a look at our "About Us" page. 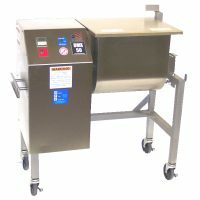 Take a look at our new web site at www.dougcareequipment.com. Some pages will automatically redirect to the proper new page or follow the previous link to the new site. We will be redirecting this entire site soon. NEW! We now are listing our special sale items at discounted prices. Overstock Special Page. Looking for packaging or food processing equipment? You can find food processing equipment, vacuum packaging and vacuum sealers, shrink wrap machines and other types of bag sealing machines used by both industry and home packers & processors here. We now have a category featuring tools for the innovative chef. Our packaging equipment lines work well with CDs, DVDs, videos, candy, gift baskets, soap, parts, printed material, etc. Virtually anything that can be vacuum packed or shrink wrapped! Equipment you can find on this site include packaging machines made for vacuum packing, shrink wrapping, bag sealing and twist-tie machines. Processing equipment includes saws, grinders, mixers, vacuum tumblers, tenderizers, stuffers, etc. 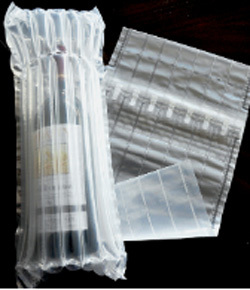 Supply items include vacuum pouches, center fold shrink film, shrink bags, twist tie ribbon, scale labels. You can also find smaller machines designed for the home processor, hunter or small business. Smaller vacuum machines, impulse sealers, meat grinders, tenderizers, slicers and saws are ideal for the home user. You also can find marinades that are available for the home processor. To find what you're looking for either follow the drop down menu found at the top of every page, click on a link below, click on the site map or use our search form located below. Links to the site map and the search form can be found at the bottom of every page. Column Air Packaging Protect bottles, ink toners, etc. while shipping. Carton Sealers - Automatically apply tape to boxes, several sizes available. Can't find it? Search dougcare.com. Click here for help in refining search terms. Vacuum pack cheese in shrink vacuum pouches. We'll show you how! Table Top Tube Sealers Seal tubes for labs, medical, R&D, beauty supplies, small production runs, etc. 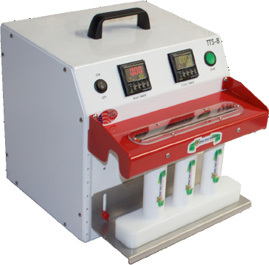 Auto Sealers Table top powered impulse sealers. Shrink Wrap Systems - Professionally shrink wrap CD's, DVD's, video's, candles, soap, books, etc. Small systems start at a very low $61! Impulse Sealers of all types and sizes. Hand sealers. Auto sealers. Band Sealers. We have many models of foot operated impulse sealers including tilt head, cut and seal, upper jaw heat and pneumatic operated. Twist Tie Machines tightly twist a plastic coated wire around the opening of most plastic bags. Makes a great re-sealable package. Shrink Wrap Systems. Available in small, manual systems, one-step semi-automatic systems clear up to fully automatic systems. Shrink wrap is the packaging of choice for many items such as CD's, candles, soap, candy, boxes, multi-packs, etc. Label Applicators & Dispensers. Many types available: hand held, table mounted, bottle applicators, etc. Dispense, feed and apply most any die cut label. After you click an "Add-To-Cart" button you are taken to our secure SSL server. More information on our secure shopping cart can be found on our order information page.